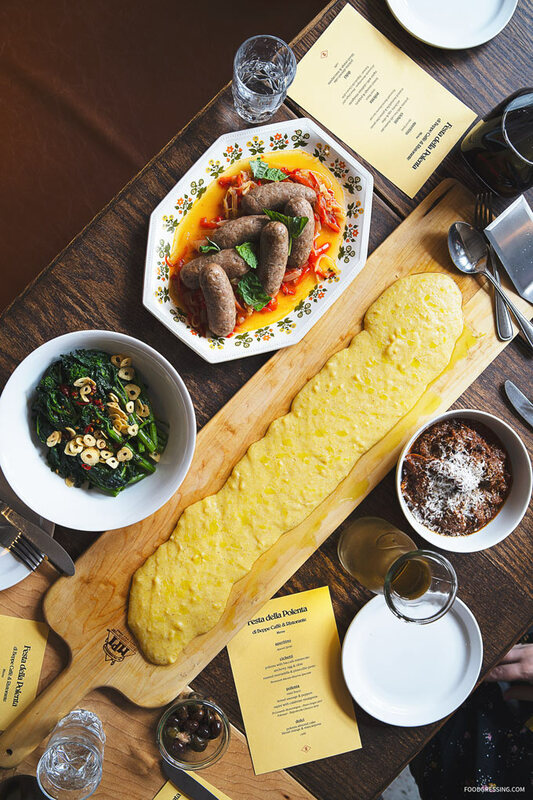 On Sunday, April 28, Di Beppe in Gastown will pay homage to its roots by hosting a Tuscan-inspired “Festa della Polenta” dinner with two seatings offered at 5 pm and 8 pm. 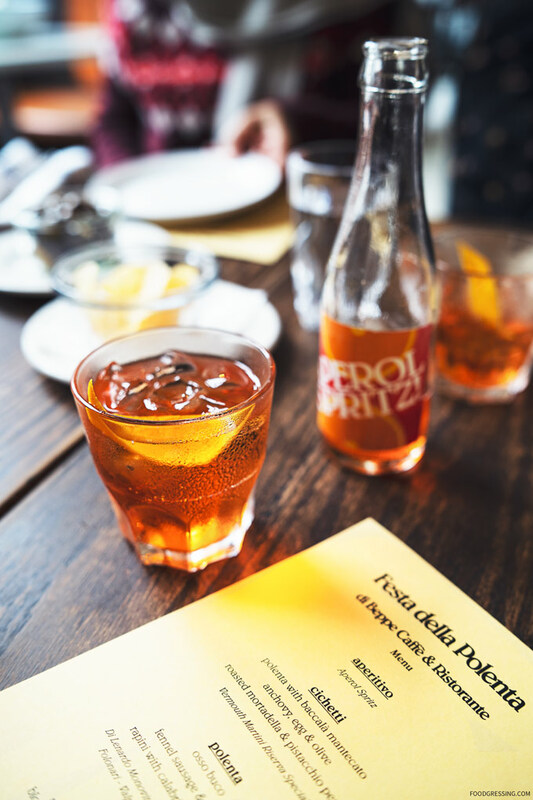 Guests will enjoy a welcome aperitivo of Aperol Spritz and mingle during a cicchetti course of small snacks and a Vermouth Martini Riserva Speciale. 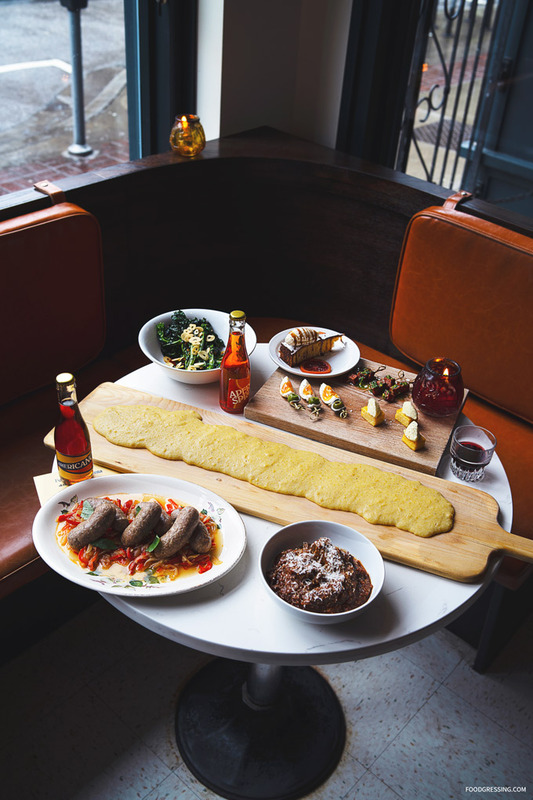 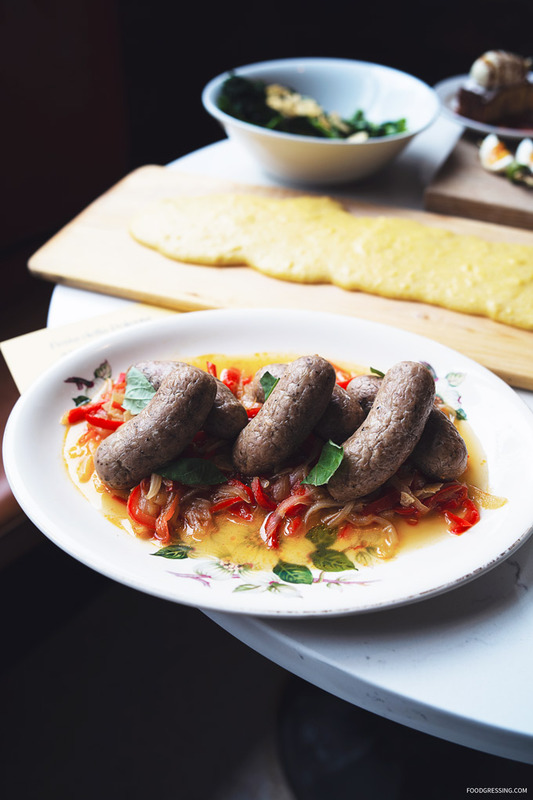 Long communal tables are then filled with polenta and accompaniments such as osso buco, fennel sausage & peppers, and rapini with Calabrian vinaigrette served alongside tumblers of Pinot Grigio and Valpolicella. 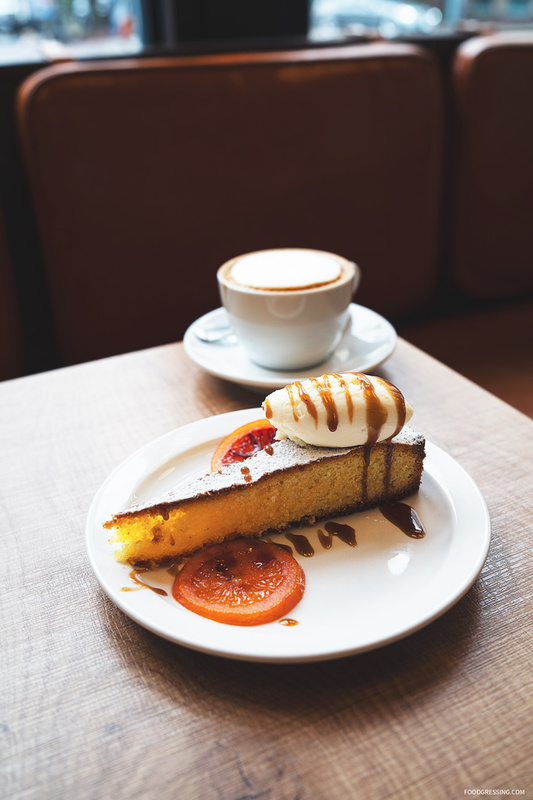 The dolci course also showcases the festival’s star ingredient in polenta almond cake with blood orange and mascarpone. 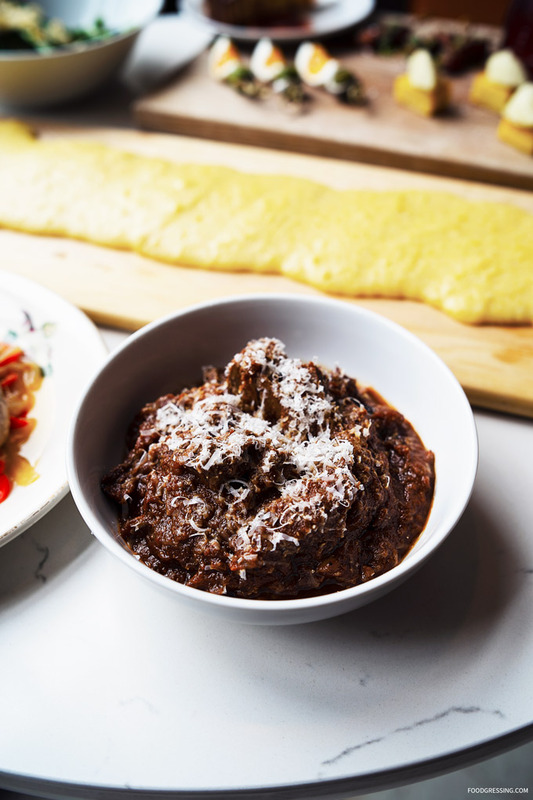 I attended a media preview of this special dinner which was absolutely delicious and enjoyable as a communal feast. 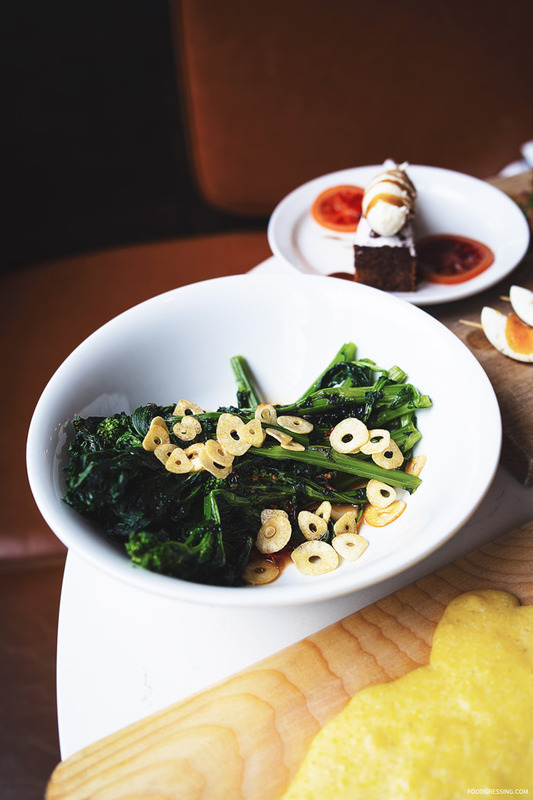 Here are a few photos of the preview. 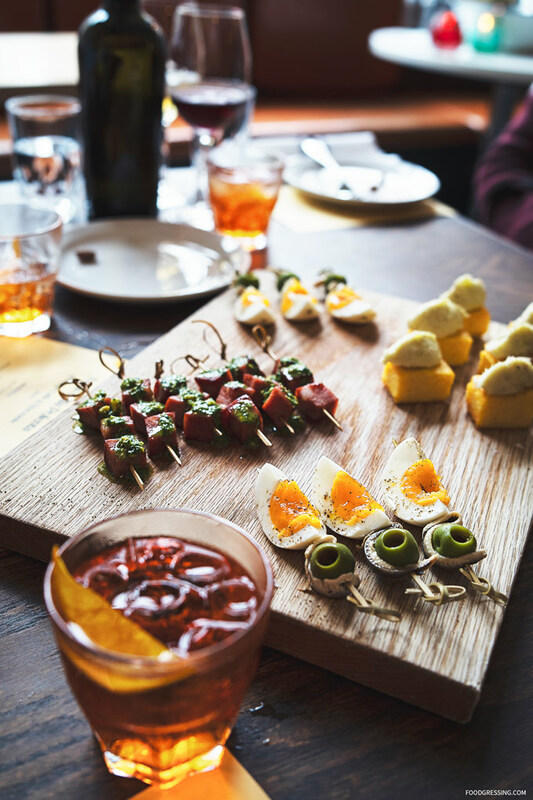 The dinner will be hosted by Di Beppe General Manager Matthew Morgenstern alongside Di Beppe Chef Andrew Morales and special guest Alessandro Vianello, who recently joined the Kitchen Table family as Executive Chef of Pourhouse and collaborated with Morales on the menu for the event. 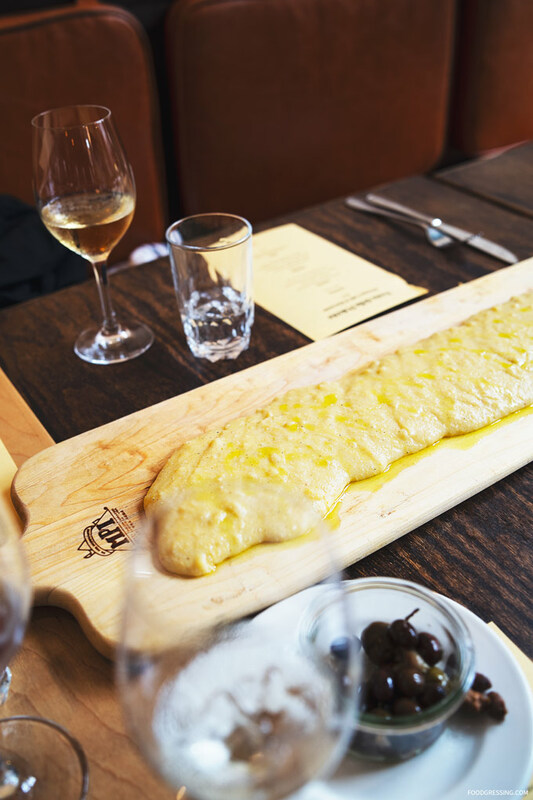 The Festa della Polenta is close to the heart of Vianello, whose family hails from the Northern Italian region of Veneto. 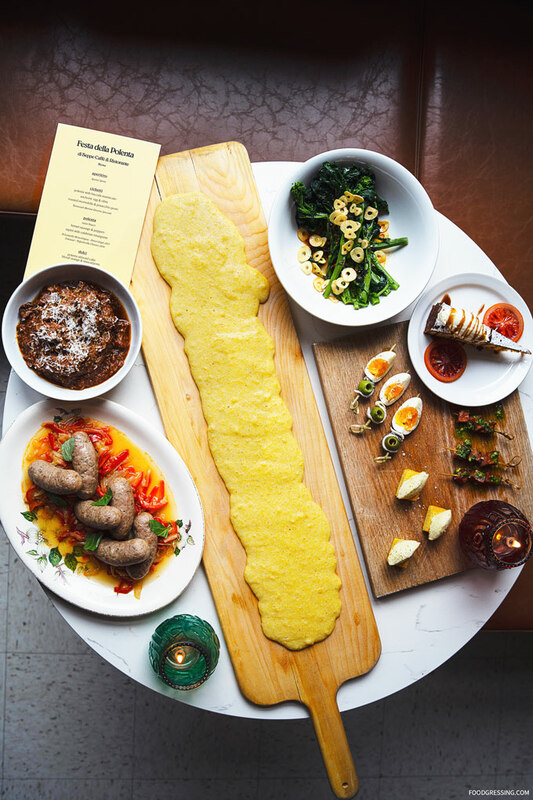 Tickets to Di Beppe’s communal “Festa della Polenta” dinner with seatings at 5 pm and 8 pm are available for $79 per person plus tax and gratuity and may be purchased online at here.